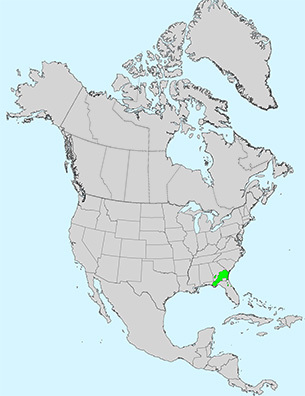 Leaf:Opposite, simple, elliptical to ovate, 3 to 7 inches long (variable), entire, shiny dark green above, fuzzy below. 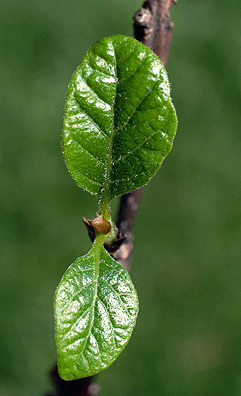 Leaves tend to cluster at branch ends. 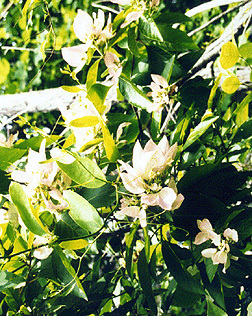 Flower:Long, thin (1 inch), trumpet-shaped, with very showy, large, pink to rose sepals (3 to 4 inches long), appear in late spring in loose clusters at branch ends. 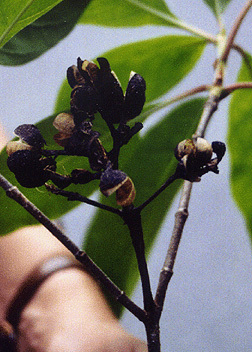 Fruit:Dark brown, 2-valved woody capsule, 1/2 to 2/3 inch in diameter, ripen in fall and persist into winter. 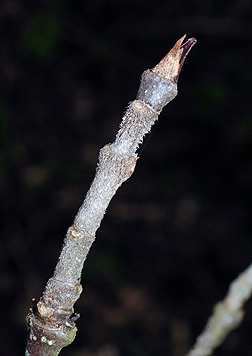 Twig:Moderate, reddish brown with gray pubescences; buds conical, reddish brown, fuzzy (1/4 inch long); leaf scars oval. 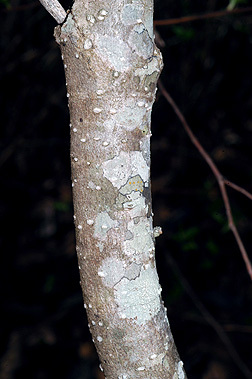 Bark:Brown with raised lenticels, eventually becoming scaly on larger specimens. 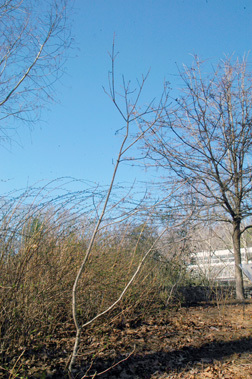 Form:Large, open, loose shrub to 10 feet tall.